You can’t have a bad girl without a good one right? 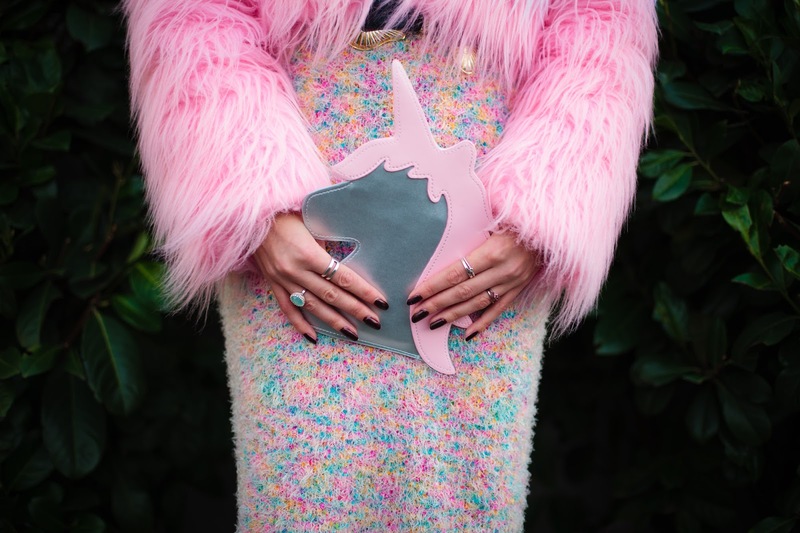 And in my book nothings better than some pastels, faux fur and unicorns! 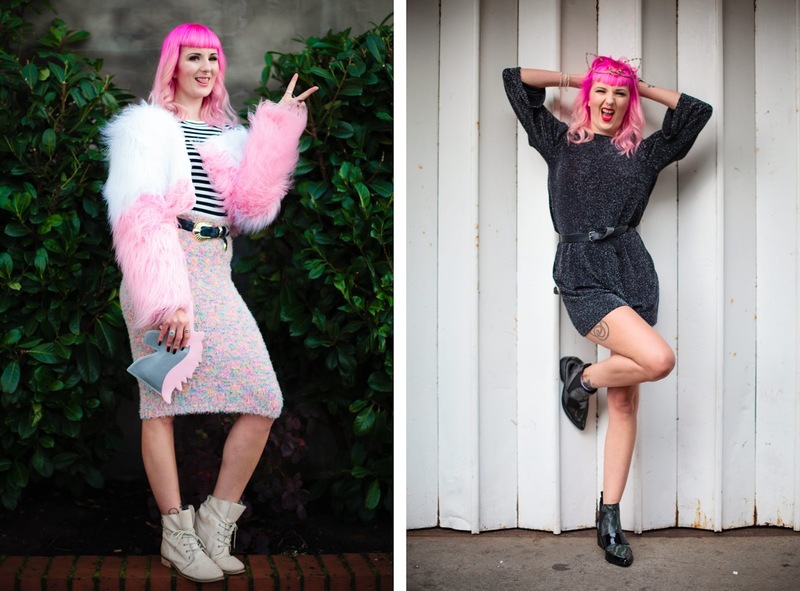 In winter I love nothing more than knitwear and luckily I bagged this pencil skirt last year. You know I’m all about the clashing prints and since stripes go with pretty much everything they were an easy choice to pair with my pastel look. It wouldn’t be winter without a good ol’ faux fur right? 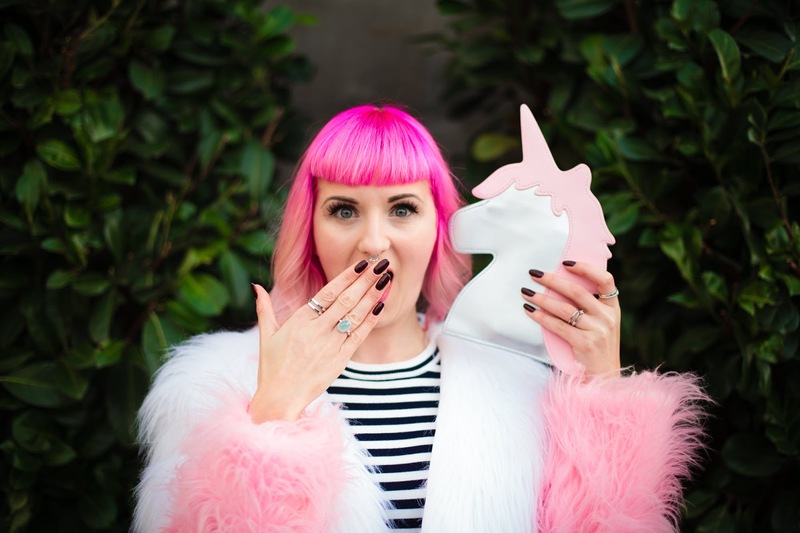 Since it’s not that chilly I opted for this baby from Obscure Couture, and I brought my new unicorn friend along for the shoot, say hi to Dee Dee everyone! I’m sure you’ll be seeing a lot more of her soon. So what do you guys think? Is your favourite look good, bad or a little of both?